This is the fifth part in a blog series. If you haven’t read the other posts, please do so at the links below before continuing on. It’ll be a lot less confusing, I promise! The airline losing our luggage seemed almost comical at this point. In the moment, I panicked slightly. 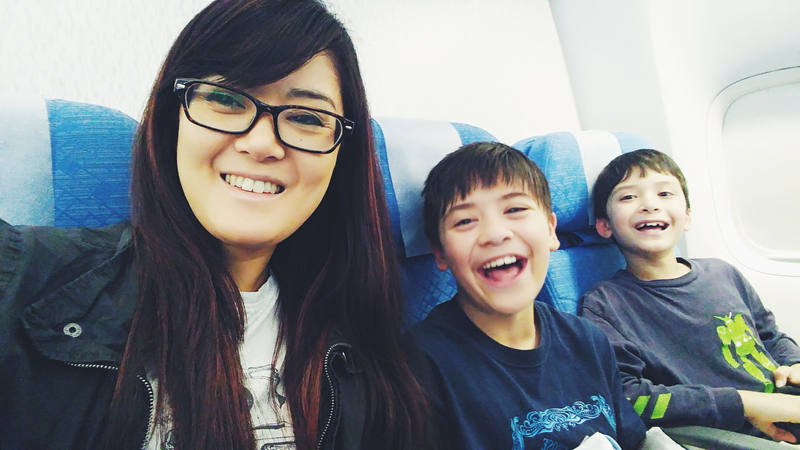 The boys and I had just landed in Manila after a whirlwind trip and over 36 hours of traveling. We weren’t supposed to be able to go on this trip because of our visas being up in the air. Then, all of a sudden, four hours before we were meant to get on the plane, immigration called us and our visas got sorted! A delay on our first flight caused us to miss our connections. After an unexpected night in London and a couple of new flights, we had finally made it to the Philippines, but now we had a two and a half week trip in front of us and didn’t have any clothes or toiletries! My priority at that point was to contact my Aunt. My Uncle was somewhere in the airport waiting for us. In a couple hours, we would be surprising my parents and sisters with even being in the Philippines! I filled out the necessary paperwork with the ladies at the luggage counter. They would try to locate our bags and promised to get them to us as soon as possible, which in the end was nearly a week later! One of the ladies allowed me to use her cell phone to call my Aunt at the house. “That’s okay, we can go to the shop.” She was calm, and I could hear my Mom talking to someone in the background. They didn’t seem to suspect anything. My Uncle was at the airport and had been waiting for us. We just needed to walk outside to meet him. The boys and I picked up our backpacks and made our way out of the baggage area. There was my Uncle. I apologized for the long wait. “It’s okay. I could actually see you the whole time. I thought, ‘There’s two boys with a short lady. That must be them! '” Thanks Uncle! We got in the van and started the two hour drive back to their place. There’s something that seems to happen, at least to me, when I’m away from my family for a long time. Like part of me goes to sleep. 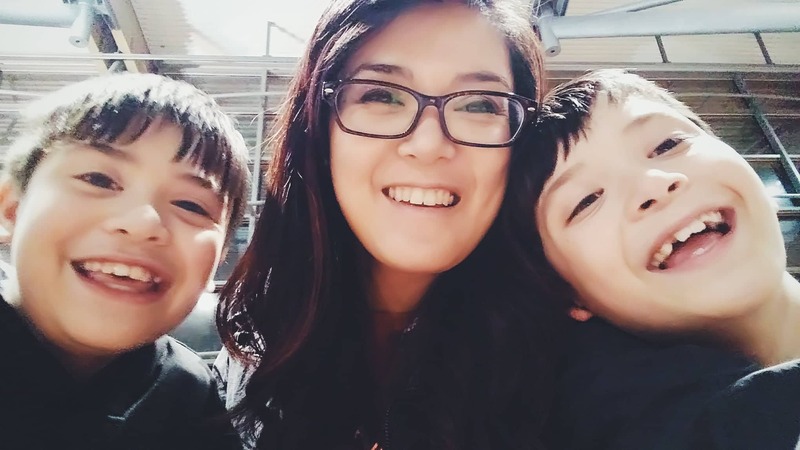 Life goes on in the day to day, being a wife and mom, doing ministry and enjoying the community we have in Cork, but part of me isn’t really part of that. Then, when I’m with my sisters and parents again, that part wakes up. There’s an ease, and a joy, and it feels like home, even if you’re not at home. Walking into my Aunt and Uncle’s house, surprising my family, was incredible. The boys walked in first, which elicited some genuinely surprised and excited yelling! When I walked in, my sister Robin ran full force and nearly knocked me to the ground! Next was my younger sister, Priscilla. Hugging and crying and smiling and laughing! I looked over to see my Mom, standing with her hands on the table she’d been sitting at. I walked over and hugged her. We were there, together. This is the third part of a blog post series. If you haven’t read the first two posts yet, please do so at the links below before continuing. Things will be better that way, trust me! Thursday morning I woke up determined just to get on with things. My parents had already left Denver and would be landing in the Philippines Friday night where my Aunt and Uncle would collect them from the airport. The morning went by with its normal chores and prep for the day, and then the boys and I started school. I don’t think I was really present. The boys would ask me about their spelling lists or how to solve a math problem, but I was distracted. Their normal messing and being children grated on me, and I found myself having to apologize for being short with them. Noon came and went. No phone call. Nothing. Branden came down from his office upstairs. “Anything?” he asked. “Nope.” I forced a smile. School went on. Grilled cheese sandwiches for lunch. A history lesson. Language sheets. Then, at 2:30pm my phone rang. I didn’t recognize the number, but the area code was Dublin. “Hi. Is this Ernestine?” The lady’s voice on the line seemed hurried. I explained that we’d already emailed Immigration and received word back that we just needed to wait for our approval letter in the post, that if we left before things were sorted, we’d be denied re-entry. “Okay. Alright. Just give me a few minutes,” she said, hanging up the phone. Branden had followed me into the room. I looked at the clock. Even if this lady could somehow email us our letter, I’d still need to drive down to the Garda station to get my file updated. The station was almost half an hour away and closed at 4pm. I thanked her and hung up the phone. I called the Garda station, asking for the immigration officer and explained the situation to him. “No, you’ll have to wait in the que with everyone else. If you don’t get through today, then you don’t get through.” Charming. I found Branden, who was keeping the kids occupied in the other room. We stepped outside, and I gave him an update. “I’m not gonna go Branden. There’s no way I’ll get through that line. It’s after 3 o’ clock. Also, we’re not packed. We need to be at the airport in three hours!” My head was spinning a little. I printed my letter from Immigration, grabbed my purse and passport, and got in the car. Fought through some traffic, found parking, and started walking to the station. I walked in at 3:40pm and counted the people in line. There were six plus the three at the open windows. My phone buzzed. It was a message from Branden. The line moved slowly but the clock seemed to as well. One by one, the people in front of me took their turn – handing over documents, stepping back to take their ID pictures, swiping credit cards. I was next in line now. 3:48pm. “Next please,” a monotone voice came from behind the plexiglass. I stepped up and greeted the woman at the desk. I explained our situation and that my children and I had a flight that was scheduled to leave in about four hours. She asked for my pre-clearance letter, and I slid it through the slot under the plexiglass. I explained again how I just received the letter via email. I didn’t have an original yet, but needed the file updated that day. Within the next nine minutes actually! She looked at the letter again, then back up at me. “Okay,” she said, and started typing on the computer in front of her. I looked back up at the clock behind her. 3:53pm. More minutes went by. Type, type, type, type, type. Finally, she finished typing. “Thank you so much!” I said, gathering my documents. The clock said 4:02pm. Even the fact that the window stayed open after 4pm was incredible! I walked as fast as I could back to the car, messaging Branden at the same time. He’d been folding laundry with the boys and getting suitcases set up to be packed. The boys still didn’t know we were going, though they were probably wondering why they’d gone from doing school to doing laundry! I got into the car. Until that moment, I wasn’t going to the Philippines. Now, I had to get home, tell my children we were going on this huge trip, pack, and be at the airport in two hours! My parents were already in the air. I was trying to think through everything that needed to happen. What did I need to have sorted before I left? I didn’t have any money pulled or exchanged. I hadn’t even gone to the store to get snacks for the plane. And no one knew we were coming! I dialed my Aunt on Facebook Messenger. It was 11pm in the Philippines. “Hi Babe,” her calm but curious voice came over the line. I asked her if I should send a message to my Mom. Just after 4:30pm – I walked in the front door of our house. Branden called the boys into the hallway where I was taking off my coat. The boys knew that my family was taking the trip, but that we weren’t going to be able to join them (basically the plan before June). 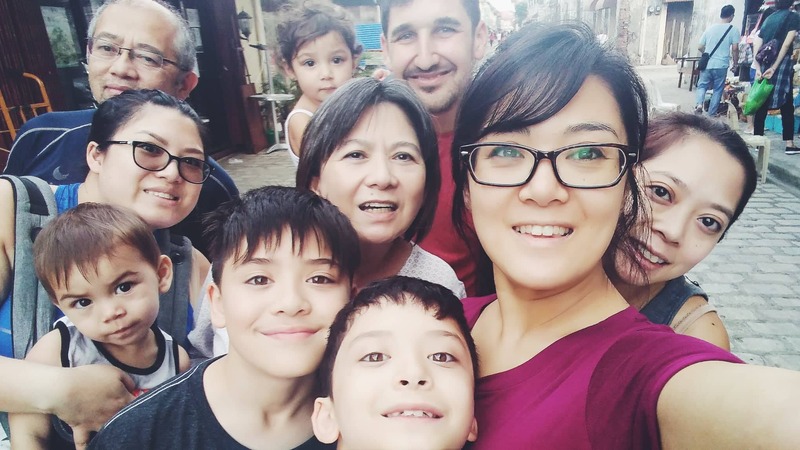 Now, all of a sudden, in the hallway of our house, with nothing packed and an hour and a half to go, they were going to get to travel to a new country and be with family they hadn’t seen in seven months! Ethan just started crying and couldn’t stop. He cried on and off the entire time we were packing! He was happy and nervous and overwhelmed. In an hour, two suitcases and three backpacks were packed. We were in the car and, after a stop at the bank and McDonald’s to grab food, we were making our way to the airport. I was still wearing the clothes I’d mindlessly put on that morning, because I hadn’t had time to change. This was the first time we’d be traveling internationally without Branden, and I was honestly a bit nervous about navigating international airports that we’d never been to before. There were lots of things I didn’t know. We had our passports and luggage and a few snacks we just happened to have in the house. I had lots of things bouncing around in my head, but mostly, I was just shocked and happy! Ultimately, I clearly didn’t have to be in control, because the Lord already had a plan – we were just walking in it! We got to the airport, parked the car and made our way to the check-in counter. After getting our tickets, we hugged Branden goodbye. He was his usual cool and collected self. I was still in shock that we were about to get on a plane and meet my family IN THE PHILIPPINES! “Message me when you get to your next airport,” he said smiling, completely confident that we would make it to each stop. I kissed him, a bit sad that he wasn’t coming with us. He hugged the boys and told them to have fun and to be helpful to me. Always teaching them. We made our way through security, found our gate in Cork’s small airport and, after just over an hour, were boarding the plane. We were sitting all together in the very last row of the aircraft. All that was behind us were the lavatory and the stewards’ area. We tucked our backpacks under the seats in front of us, buckled our seat belts, and got ready for take-off. Fifteen minutes went by. Then an announcement came over the intercom. Something was wrong with the plane.